Lampe Berger Fragrances and Lamps are known the worldwide for quality and effectiveness. 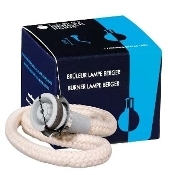 When you buy a Lampe Berger product, you can rest assured that it will be worth the money you spend on it. To improve the performance of these products, you will need to use Lampe Berger accessories. Imperial Galleries is one of the largest online stores for Lampe Berger products and accessories. You can trust the authenticity of these products. If they are not produced by Lampe Berger this will be indicated in the product listings and the product quality will be excellent. Lampe Berger is a large part of the odor removal and fragrance industry. The Lampe Berger wick/burners that are carried by us are the most effective in air purification always keeping in mind considerations of safety. 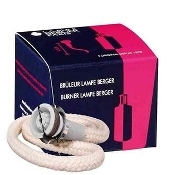 The wick/burners are superior to all in releasing the many wonderful Lampe Berger fragrances. The large slotted lamp tops allow you to personalize the lamps. We have a variety of lamp tops designs, so you will likely find an option matching your needs. Lamp tops can be chosen in accordance to your decor or the way you want your lamps to appear. 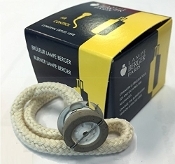 We also provide Lampe Berger replacement snuffer tops and gift wrapping. 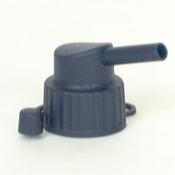 Snuffer tops come in various colors to match your lamps. You may get your Lampe Berger product neatly gift wrapped before it is shipped and choose to include a gift card with your message.